As part of our commitment to community, SSB Bank looks for opportunities to enrich the lives of our neighbors - whether they're old enough to have a bank account or not! On April 12, 2018, we had the honor of celebrating a local 4-year-old named Evelyn. Evelyn had always wanted to ride a bike alongside her family, but a physical limitation prevents her from being able to ride a traditional two-wheeled bike. 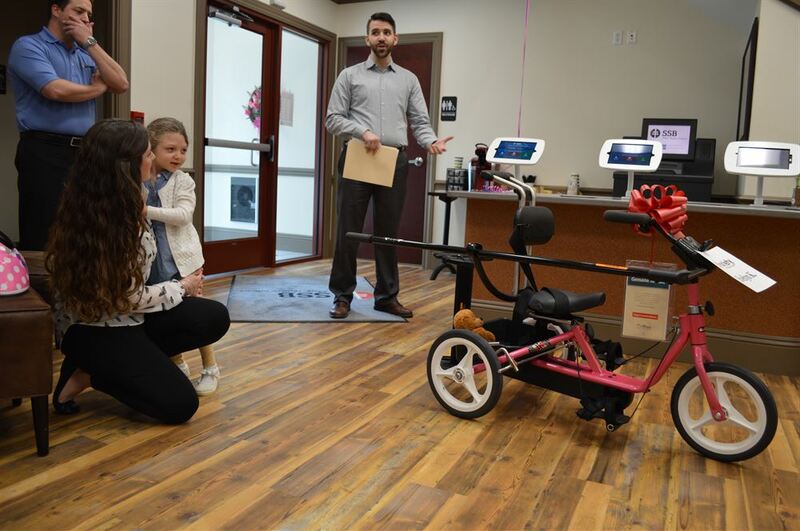 Her family applied to Variety - The Children's Charity, which connects families with companies to sponsor an otherwise cost-prohibitive customized recumbent bike. The opportunity to sponsor Evelyn was identified by Margie Glassbrenner, our Customer Service Manager. SSB has a $5 jean day initiative, with which employees can have $5 taken out of each paycheck in exchange for the ability to wear jeans on Fridays. The money is put toward a charitable donation on behalf of SSB's employees. 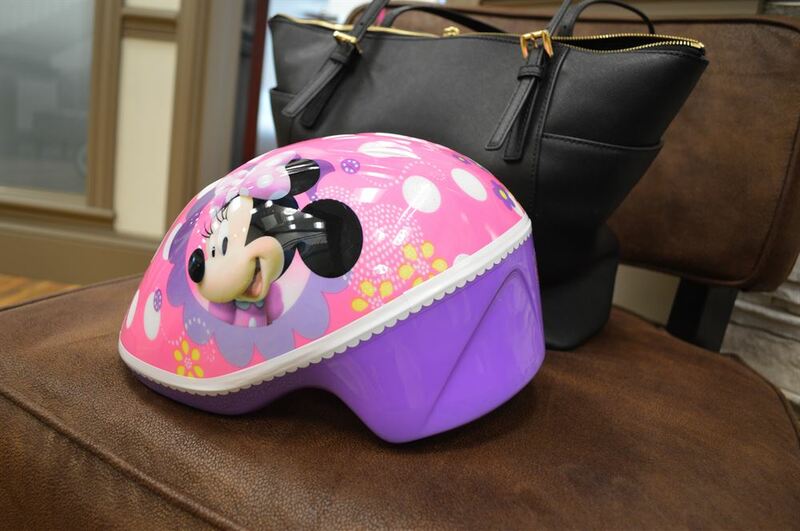 SSB offered to be the sponsor of Evelyn's bike, which is bright pink and allows her to sit upright in a supportive seat. The bike was custom-made to Evelyn's measurements by Blackburn's, a medical supply company. 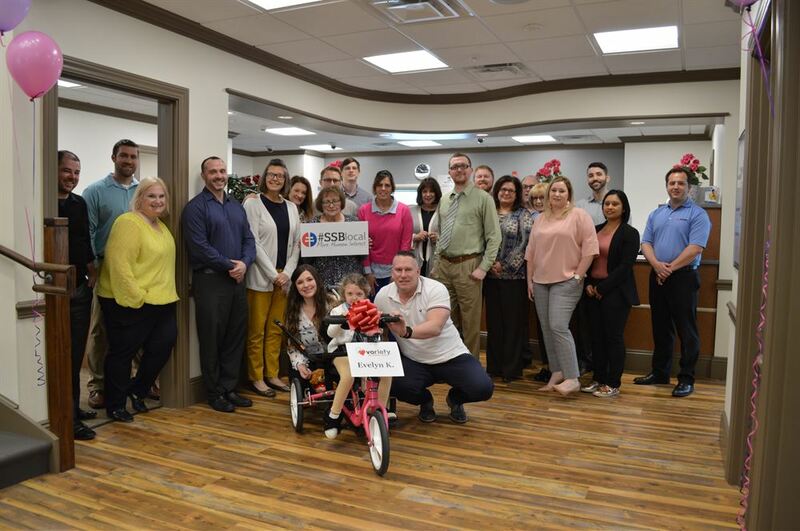 Together with Variety and Blackburn's, our staff presented the bike to Evelyn's family at our McCandless branch. We decked out our lobby with pink cookies and purple balloons to mark the occasion. 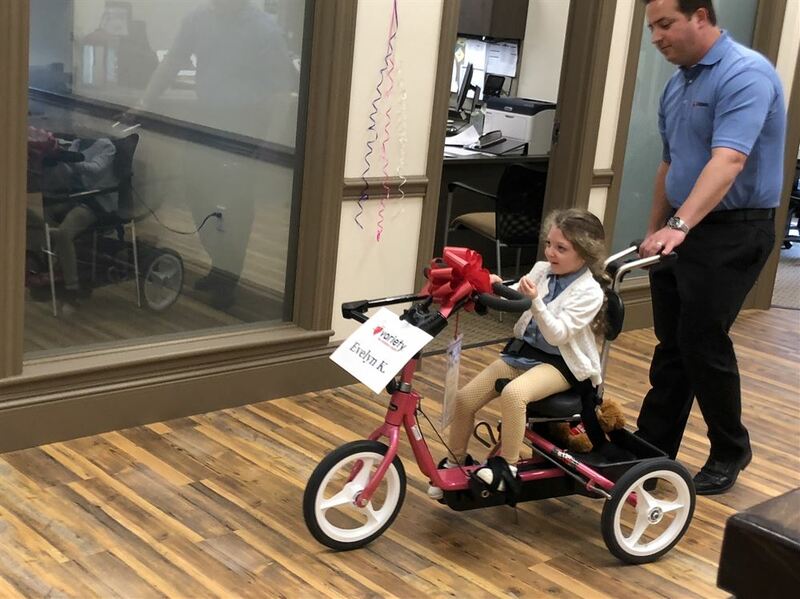 After a few words from Zach Marsh, Community Relations Manager of Variety, Evelyn took her first spin around the office to the applause of SSB employees. 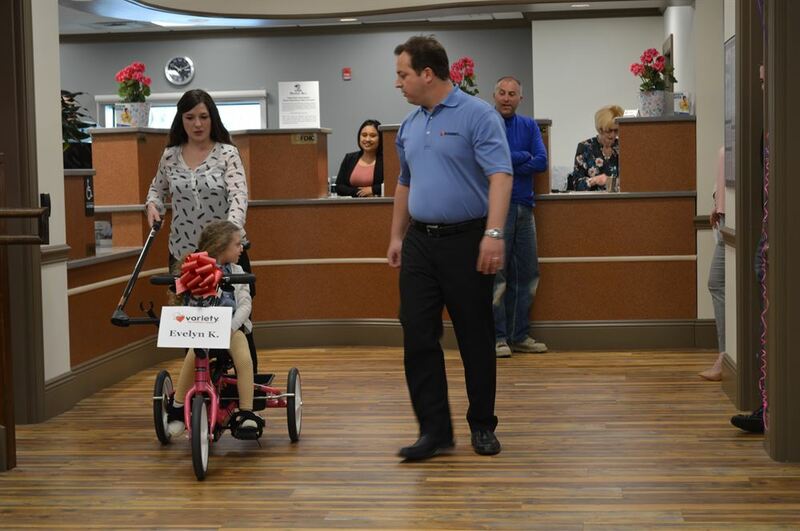 Evelyn was bashful at first, but after a few turns around the lobby, it was clear that she will be spending a lot of time on her new bike! 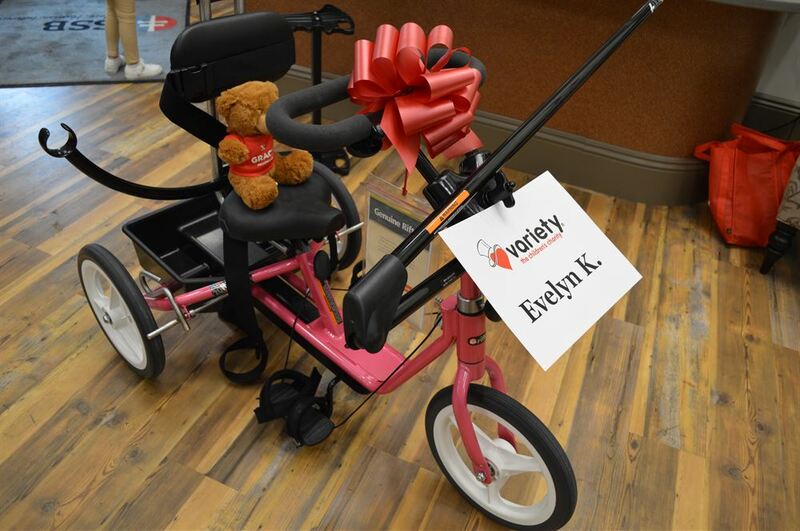 SSB thanks Variety - The Children's Charity and Blackburn's for the opportunity to share Evelyn's joy and excitement.